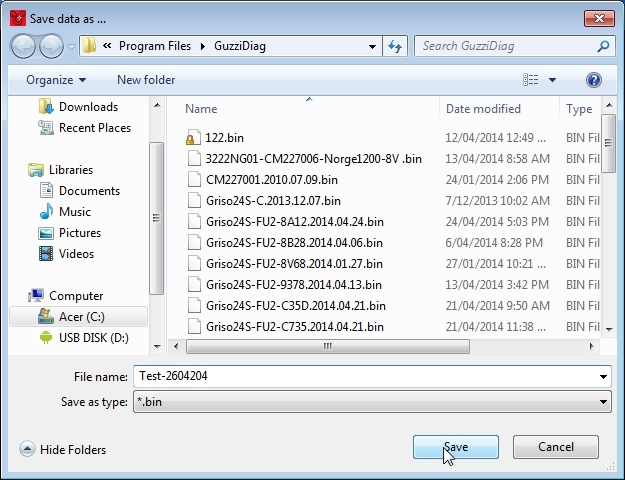 This is a basic howto for the GuzziDiag suite of tools. This howto will show you how to connect, read (backup) your existing map, write (flash) a new map and perform a TPS reset. This uses the Windows versions, but Mac & Linux versions function the same. Each is a standalone program that works independently of each other and does not require any extra software. You will also need the two cables. They are available from various resellers on the net. 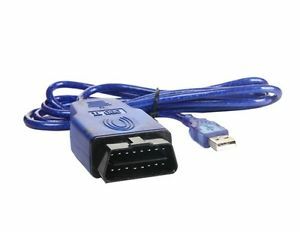 The OBD2 KKL 16 pin to USB cable with the FTDI chip. This will come with the drivers or they too can be downloaded. Photo courtesy of beetle . 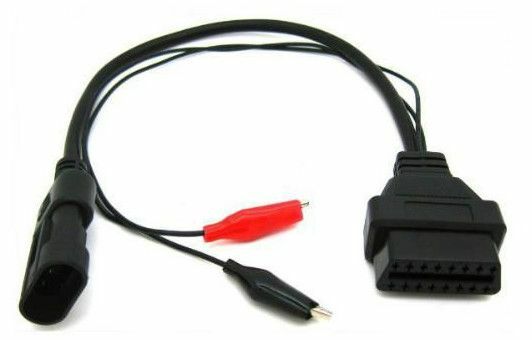 To connect to the bike, connect the two 16 pin connectors on the cables together and the 3 pin cable to the diagnostic port. For example on the Griso, it's located under the seat near the back right. Attach the clips from the 3 pin cable to the battery and plug the USB cable into a USB port on your computer. 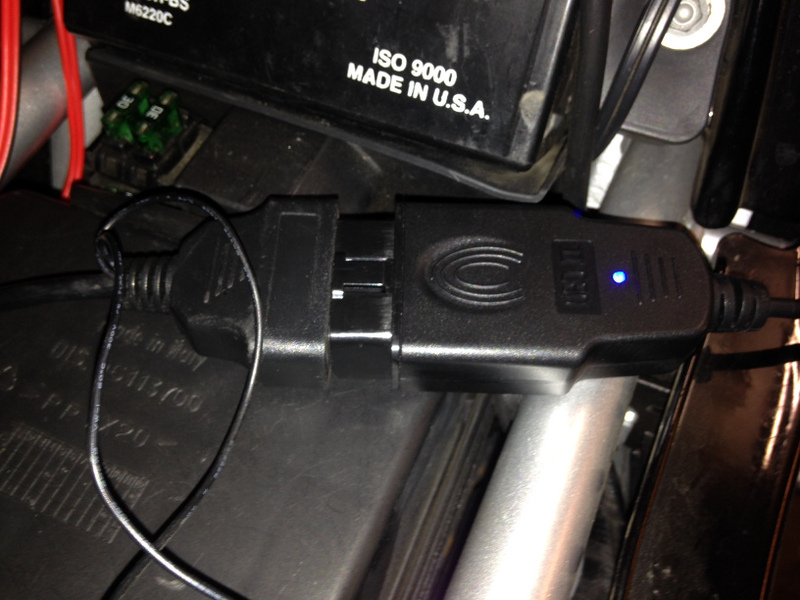 A LED on the OBD2 cable will indicate power is connected. When you are connected to the ECU with one of the programs, you will get a nice display on your instruments. To read and backup your existing map, open the IAWReader. Your computer may have multiple COM ports, so select the correct one from the drop-down box. it is usually the last one or highest number. if it doesn't connect at first, keep trying different ports. In my example, I only have one, COM4. 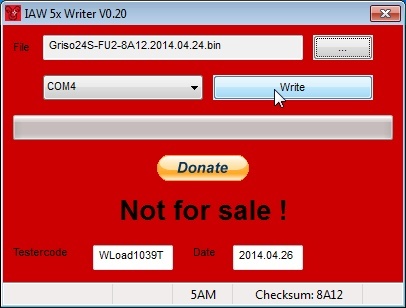 A dialog box will open, and here you can select the folder where you want to save the .bin file. You can name it anything you like. Turn your keyswitch to on . Do not start the engine. 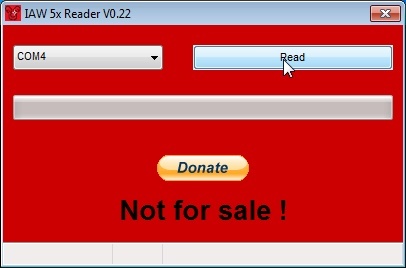 Reader will start downloading. It will take 15 minutes to backup the map. When it has finished, it will ask you to switch off your keyswitch. Obey. To write or flash a new map, start the Writer program. You can select your COM port here as well. 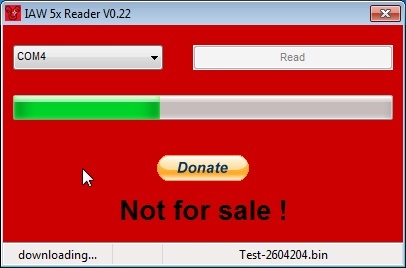 Click on the button with the 3 dots, and you will get a dialog box where you can browse to and select the .bin file you wish to flash by clicking Load . Same as before, it will ask you to switch your keyswitch on. It will start the upload. Note the message in the bottom left corner uploading . It takes 3 minutes. 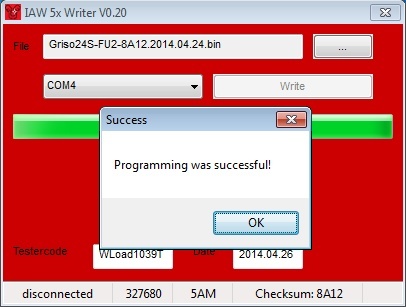 It will then change to programming as it writes the file to the ECU. It will then show a message that it was successful. Click OK and switch off your keyswitch. You will then need to reset your TPS. 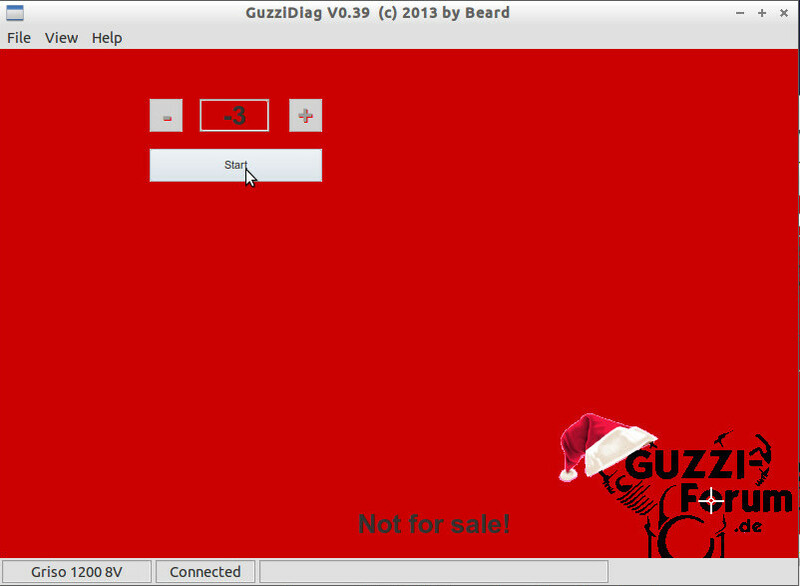 Open the GuzziDiag program. 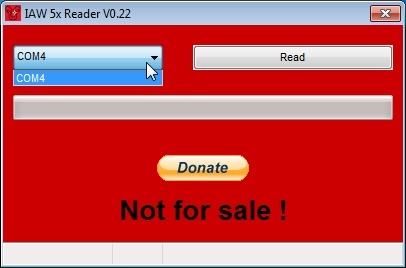 Click File -> Setup to configure the software. It only needs to be done once. 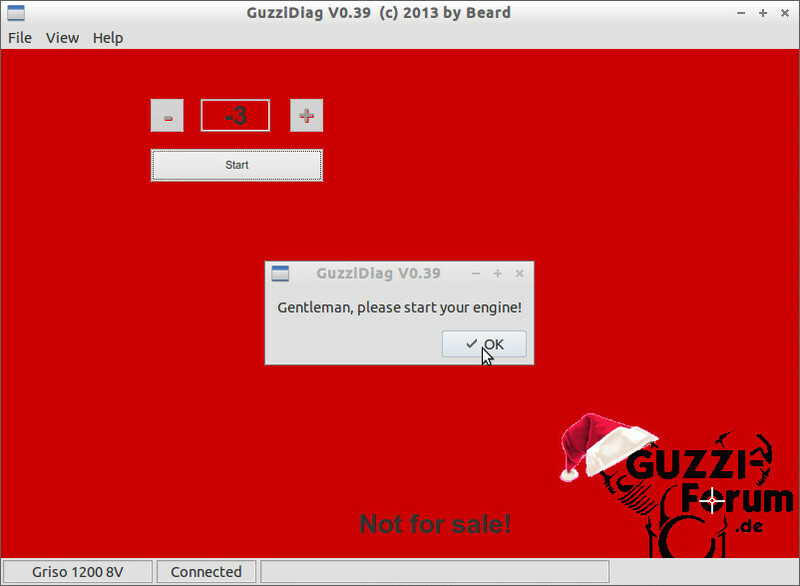 The GuzziDiag settings dialog box opens. Here you can select language, COM port and bike type. You'll notice there are 8 drop down boxes to select various readouts. Select whatever you wish. Next, reset the TPS. Click on the TPS reset button. Then, click on View -> Measurements , and Voila! TPS reads correctly. If you want to see some data change, you can start your engine and check out the readouts. Here I simply twisted the throttle (engine was not running). Once you're done, click File -> Disconnect and you will be prompted to switch off the keyswitch. Switch off the key and click OK. 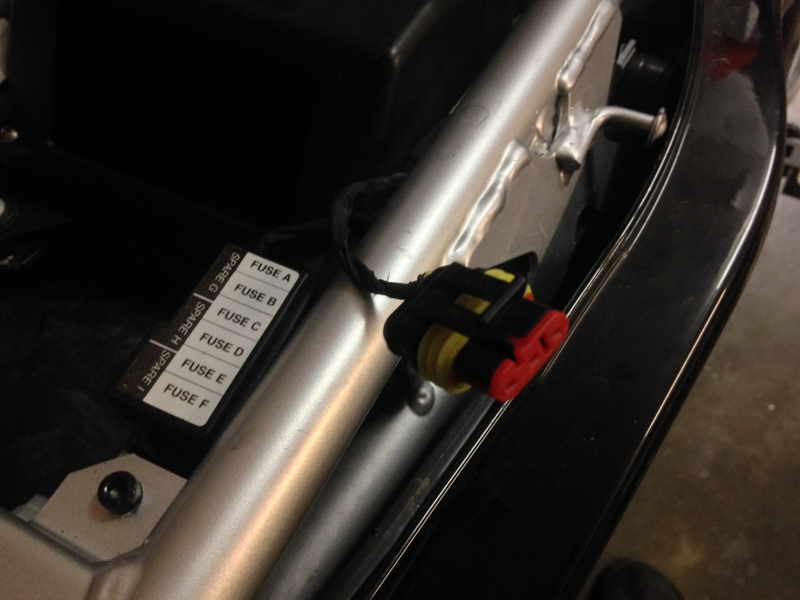 If you load a new map or do something simple to your stock map like switch of the lambda sensor, you may find you need to adjust the CO trim for a smoother idle or less smelly idle (too much fuel). 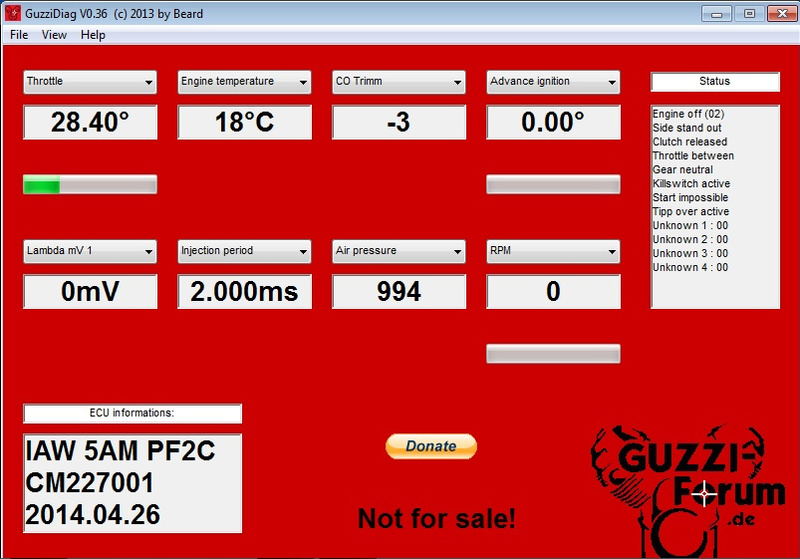 To do this with GuzzDiag, get your engine up to temperature (which is 60° celsius). 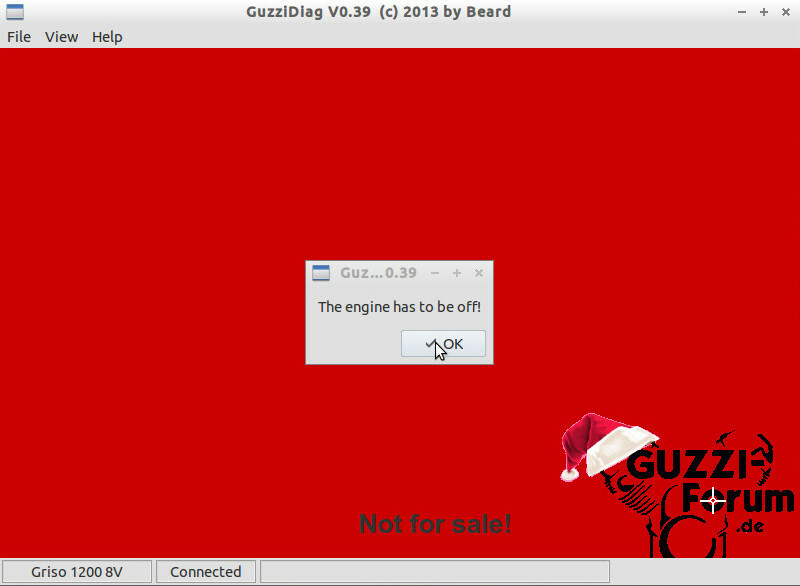 Go for a short ride or let it idle with GuzziDiag connected so you can monitor the engine temp. 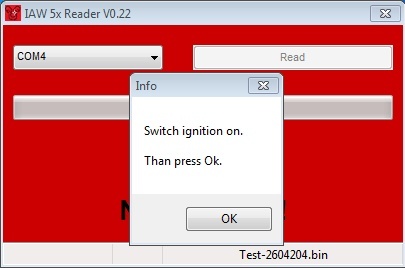 You will get a dialog box that asks you to start your engine. Click Ok and start 'er up. 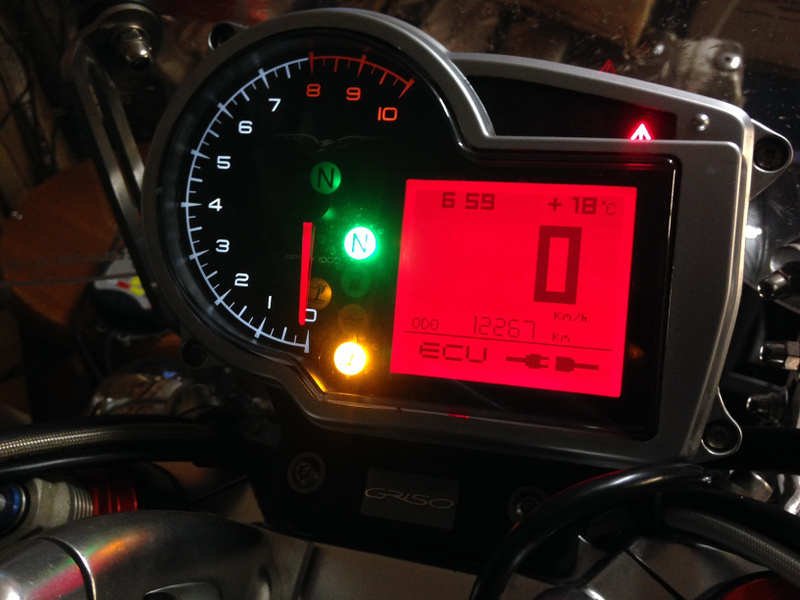 With the engine running, click the plus + or minus - button to adjust the CO trim. You can go up to +128 or down to -128. For starters, I recommend going to a minus number, say -20. 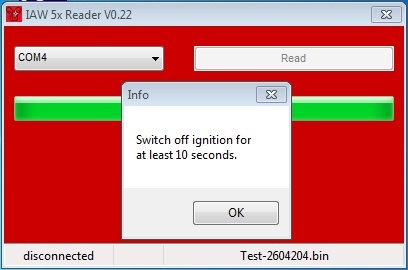 Click Finish and take note of what your idle RPM does. If the idle drops or gets rough , click Start again. 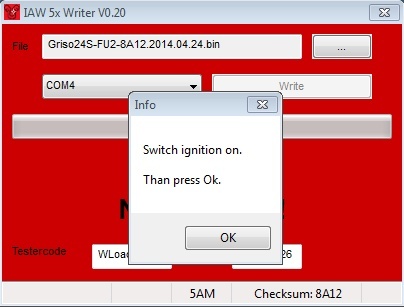 At this point GuzziDiag will ask you start your engine again, but as it is already running, simply click OK and adjust your CO trim number to be more positive by clicking the plus button. Go up by 5. e.g., if you are at -20, go to -15. Click Finish and note idle. Repeat as necessary until idle is smooth and at your required idle RPM. Try not to let the engine get too hot. You can't hurt anything by adjusting the CO trim, so if you feel you haven't quite got it right, let the engine cool off and start again. Of course, you can use a fan to assist with cooling.